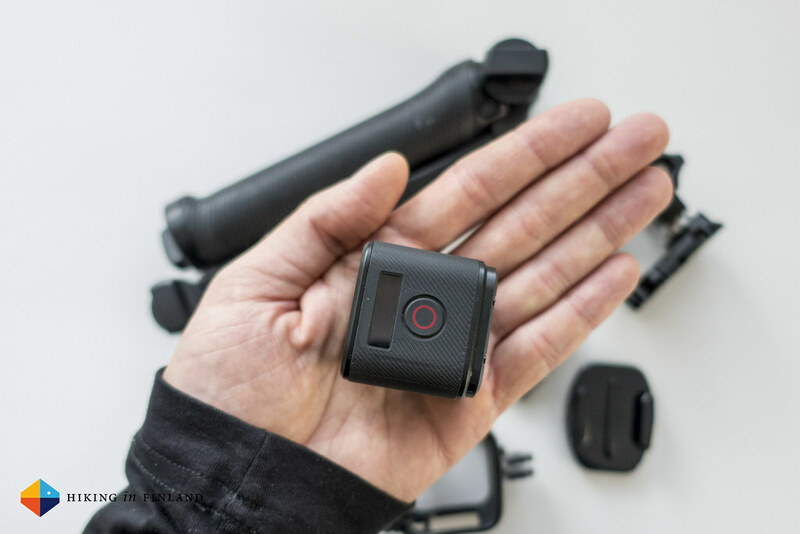 Small, rugged, ultralight 71 g, waterproof out of the box, can be controlled with your phone and is pretty affordable - with the HERO4 Session GoPro has created a great little action camera for active outdoor enthusiasts! I met GoPro at the ISPO earlier this year and had a nice chat with them, and when they asked if I’d be interested in testing their HERO4 Session I said yes. While my experience with the GoPro Hero 2 was more like Meh and also the Garmin Virb was something I seldom would take along, I have had the HERO4 Session a lot outdoors in the last months. As a Photographer video is usually just a side-consideration for me, but as I am pondering videos more seriously it is nice to have a small, light and good video camera. As usually I put my HERO4 Session through a serious testing period to see how it performs in many different situations. The HERO4 Session arrived in February at Hiking in Finland HQ and has been along ski-touring in Norway, hiking, paddling and caving in Macedonia, bouldering and sea kayaking on Åland and climbing, hiking and watching the sun set in Greece, and comes with me when I am going to South Tyrol next month and most likely also to Mexico in November. As the Session 5 was just announced last week I felt it is about time to review this wee camera cube (though GoPro wished I’d done it ages ago =). 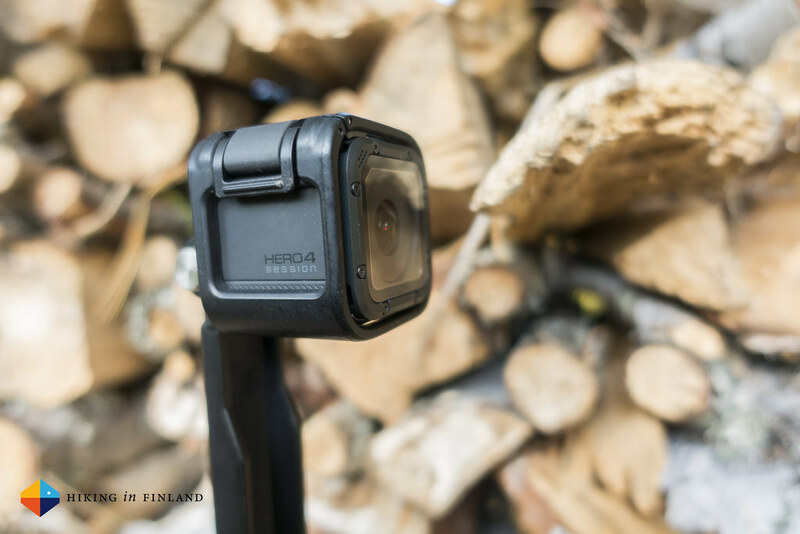 The GoPro HERO4 Session’s function is summed up pretty easily: Document your adventures, be they skiing in Lyngen, climbing in Greece, hiking in Finland or enjoying the beach with your family. It takes crisp 1080 HD Videos, makes pretty Timelapses and photos from your activities, and lets you easily share them. 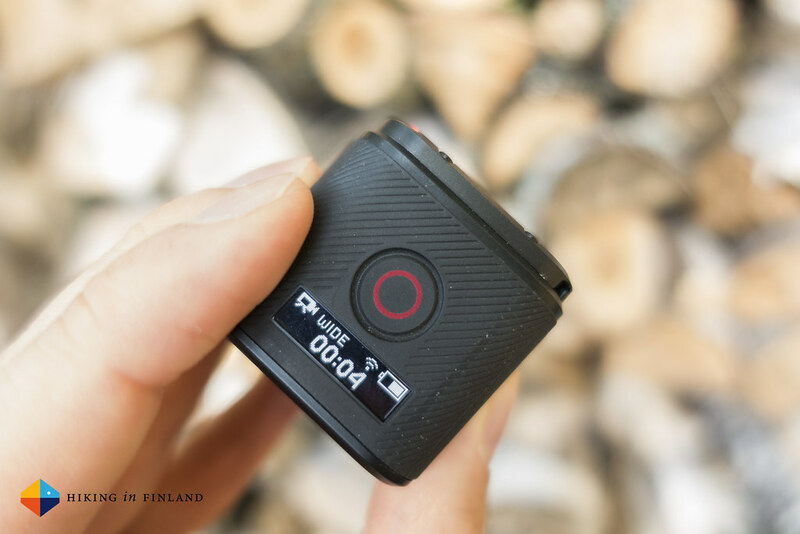 The Session is one of the smallest action cameras on the market. It’s a tiny cube which is why I found it so useful to take along on my trips. The “Press one button and it records” feature is also great, gone the times of where you’re wearing a GoPro and first push it on and then hit the record button, often not sure if it actually is now recording or not. That same button you can push a wee bit longer and it records a Timelapse, and this I found pretty cool as video and timelapse with one push of a button is a great step forward in user friendliness. 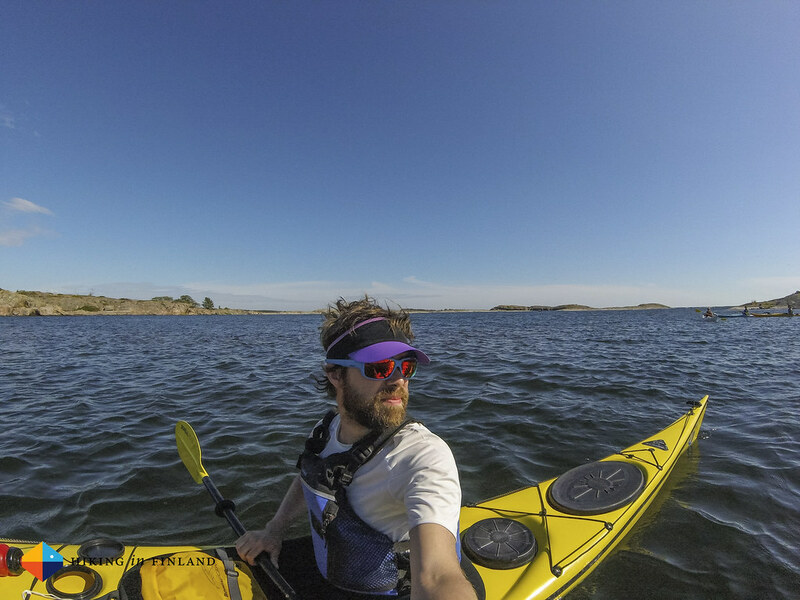 The camera itself is high-quality and bumps into the rock wall, dropping it into my pack and letting it go dive in the salty Baltic and fresh water lakes didn’t bother it at all. The front lens glass protector has been kept scratch-free during all this time, one just needs to be careful to not touch it with greasy fingers as that can get messy (but easy enough to clean). I believe this camera can survive several years of use and abuse without problems. The Session weighs a mere 71 g. Add in a case (16 g) and a mount like an adhesive mount (11 g) or the Tripod/ Selfie Stick (215 g) and it’s a bit more, but especially with the latter you can take pretty ace photos and videos of yourself in action or fold the legs out and take a time-lapse of the sunset, all for a combined weight of 303 g (That’s the 3-Way Arm, a cage for the camera and the Session itself). You can buy refurbished cameras from GoPro directly, which is a cool move and puts less GoPros into the waste streams of the world. Also on their website they have a lengthy website dedicated to social and environmental matters, while GoPro Cause lets you get involved or donate with social projects around the world. How to get rid of an old GoPro, though? If you life in Europe you should be aware of the WEEE Directive which means electronic waste does not belong into your normal household waste. It gives you ideas where you can get rid of your old camera (and other electronic garbage, like that TV, the old Playstation and the broken cellphone from 2003). I have used the HERO4 Session more as I thought I would. Unlike some of my blogger friends (Hey there Jackie!) who often only use a GoPro and their smartphone my main tool is a camera as I earn money with my photography. Now while the Session does take photos they’re usually not something a magazine is looking for, hence I carry my Sony RX 100 IV wherever I go. 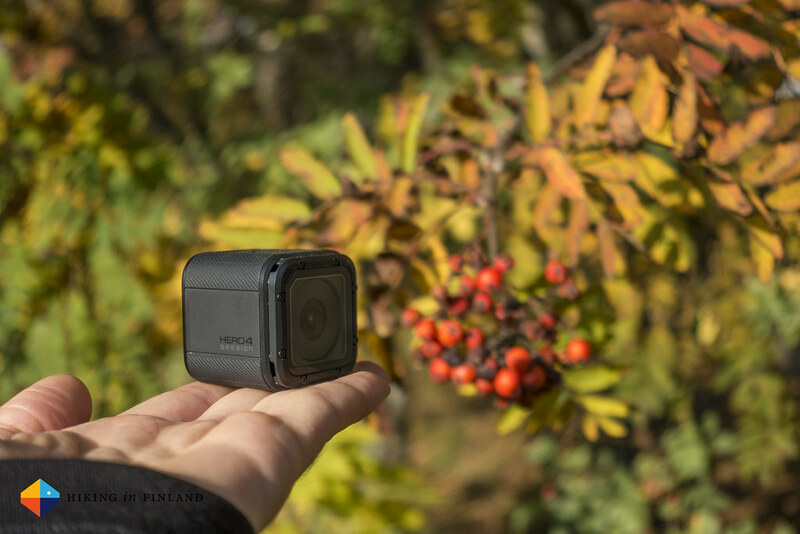 But the HERO4 Session is so small, light and intuitive that it’s a great addition to a small camera, especially for activities like climbing, skiing and cycling where it’s nice to attach the camera to yourself or your equipment and film your adventure. All you need to start is a MicroSDXC Card and you’re ready to head out. 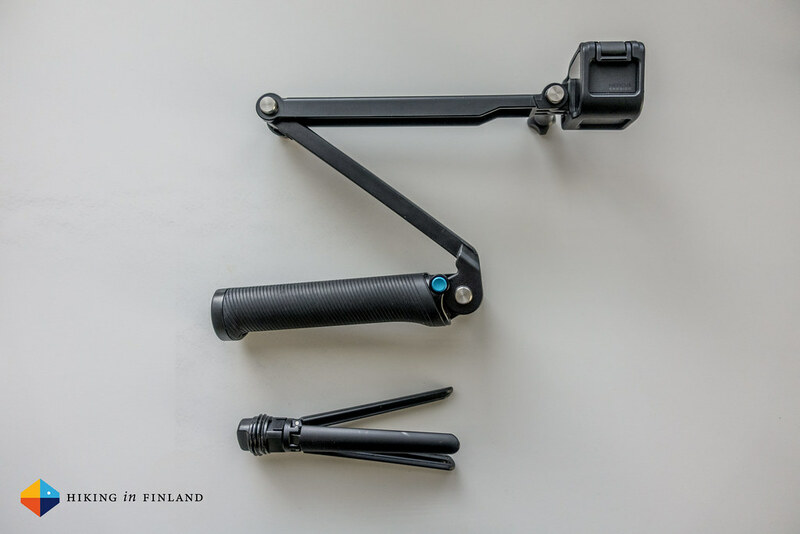 The GoPro 3-Way Grip & Tripod aka a fancy Selfie Stick with tripod legs that hide away has been something that I was very sceptical of (who wouldn’t be sceptical of Selfie Sticks?) but after using it a couple of times and seeing what great footage one can shot with it I was a convert. Now my Session is usually connected to the 3-Way Grip, as it allows for cool angles on the go, a more stable flow when hiking (though I’d like a gimbal for it) and the Tripod legs make it great for filming a timelapse. The camera is also really durable - bumps against the rock when climbing didn’t bother it, it dived in and out of salt and fresh water without problems, and also took the daily abuse of being carried in a sidepocket or backpack without problems. The battery life depends quite a bit on how you use the camera, the temperature, and also if you have Wi-Fi and Bluetooth turned on or off (off means longer battery life but then you can’t control it with your phone). I had the HERO4 Session along in Macedonia and Greece and got a solid two weeks of use out of the camera, and if my memory doesn’t betray me I only once topped it shortly up in the middle of the trip. I take short clips - anything between 10 seconds and 3 minutes, as well as timelpases. Overall I got some 5 timelapses and around 60 clips shot during those two weeks, almost on a single charge (topped up once!). As the HERO€ Session can be charged via USB it is easy to charge it on the trail with a power bank, too. GoPro themselves also answers the battery life question in detail. What I found really great is that you can connect the Session to your smartphone, grab a photo or video, edit it on your phone and share it on Instagram. Put the camera down and control the Session from your phone - hit record, adjust settings, whatever. It is so easy, you’ll love this feature if you use Social Media and previously just sat on a ton of footage but never did anything with it. 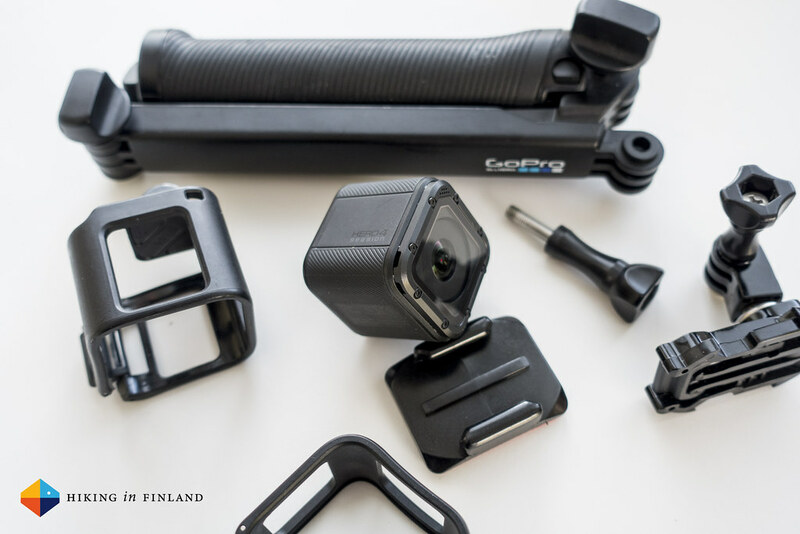 There’s even the possibility to find your GoPro in case you’ve lost it under a bunch of papers! Speaking of editing, GoPro has its own Apps - for free! - which help you make a movie out of that footage. On the phone and desktop you even can let the App do all the work and you just sit back and see what it comes up with! As for the footage coming out of it, I found it very nice indeed - for online publication. The photos (see the kayaking photo above) are of good quality for blogs and Social Media and probably could be used in a pinch in a magazine. The videos in 1080 HD are crisp with nice colours & good sound, and the file size is wonderfully small in comparison what my other cameras throw out (as I already own four HD External Hard Drives storage is always a concern!). The HERO4 Session is a big step forward from my older action cameras, as adjusting from dark to bright is now quick & good, and it even works great when spelunking in dark caves with bats. Finally, while I got the HERO4 Session for free without obligations you can find the action camera for as little as 200€ (GoPro themselves ask for 230€ on their webstore). That’s a pretty good price for such a well-designed camera, although there are action cameras out there which cost just half or less of that. If you’d like to support a company which in those cases rips off GoPro is up to you, I wouldn’t. It is hard to pin-point things that I think could be better with the HERO4 Session, but as the HERO5 Session was just launched I’d say GoPro addressed at least some of my concerns: Better video quality (now with 4K!) and Image stabilization. It now also has 10 Megapixel Photos but remains just as simple & easy to use out of the box as the HERO4 Session I review here. But these were just tiny complaints from my side and I have been more than happy with the HERO4 Session. 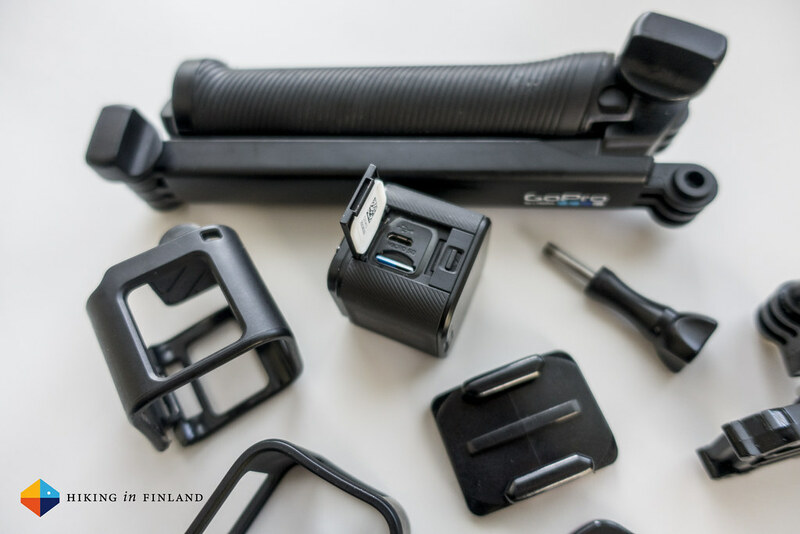 There’s a range of Action Cameras which try to grab some of GoPros market share, most notably Garmin with the VIRB and Sony with its action cameras. Also DJI has tried to enter the market with the Osmo, though it serves a slightly different niche. 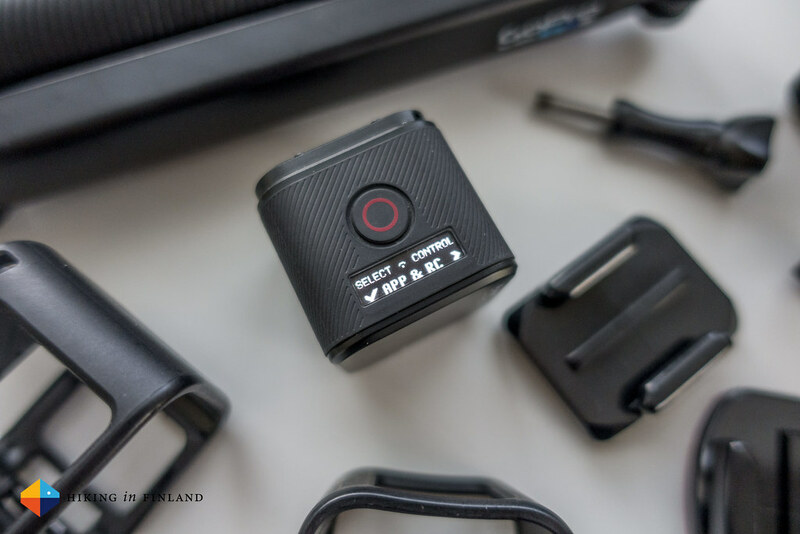 And then there’s the low-cost but still impressive action cameras which cost even less than the Session - I linked to some of these in recent The Week In Reviews so browse them to read about these. In the end the question you should ask yourself is: Do I need a one-click action camera? 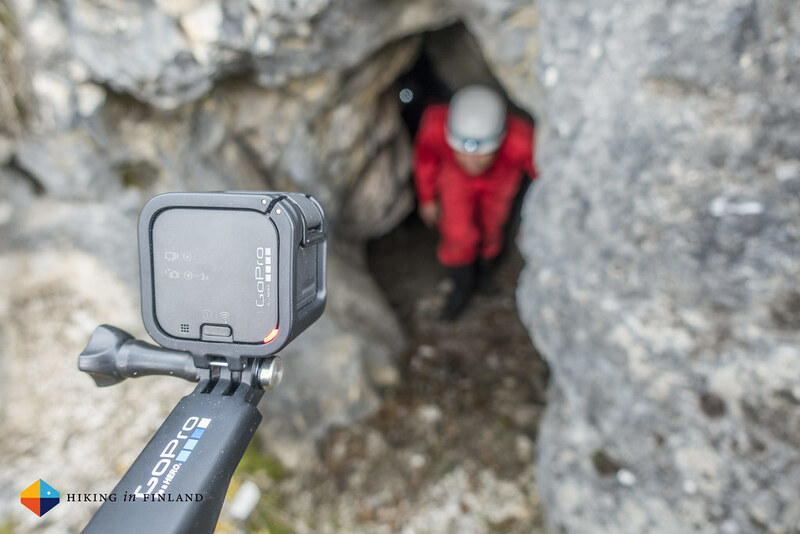 Are you out enough hiking, climbing, skiing, swimming, paddling, mountaineering, surfing & cycling and wishing you had a small video camera along which films you & your adventurous activities? Do you have the time afterwards to edit your footage and share it with your friends (or will you use the GoPro Quick Desktop or smartphone app to do so)? 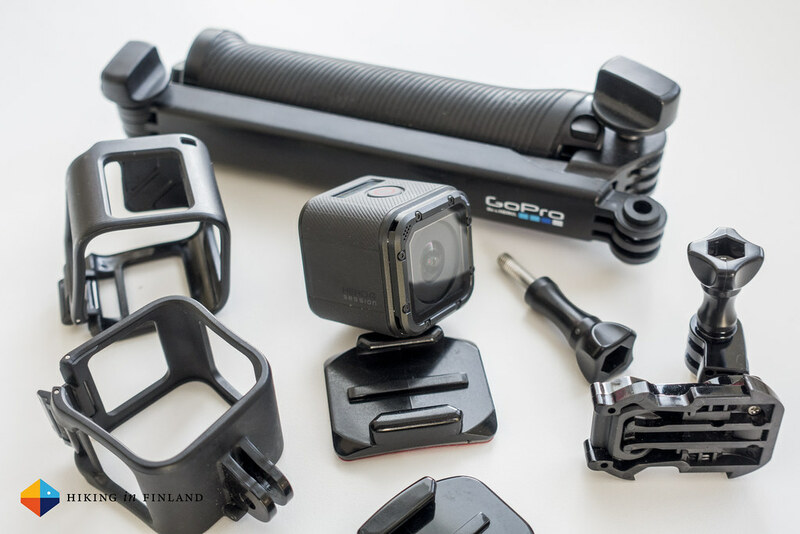 Are you ready to drop around 300€ on the HERO4 Session, a MicroSDXC Card and some mounts? If the answer is yes to all of these questions then I think you will find the GoPro Session a great little action camera. While I was sceptical if I’d use the Session at all - after all I hadn’t used the previous two action cameras I own in many years - it quickly has become something I take along on assignments & when I head out for fun. Because it is so easy to use I am way more likely to actually take it out of my pack and push that button - knowing it will record crisp, cool videos of my friends & me doing what we like most - being outside and having fun! 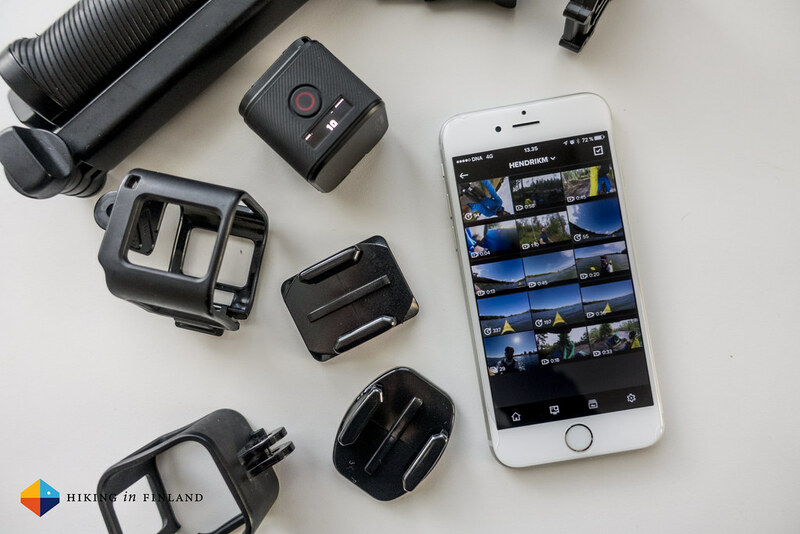 Add in that it does so in an almost unobtrusive way, and that viewing, editing and sharing the footage I have recorded has never been easier and you have a winning package that fits in the palm of your hand. 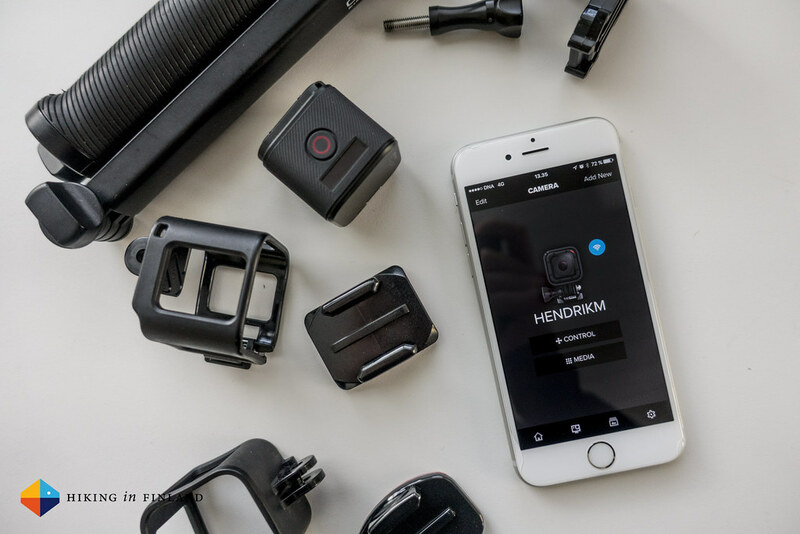 As the Session 5 will come out in a few weeks the HERO4 Session - the one reviewed here - is available for good discounts already. REI has a great package and you also find it at Amazon.com, Amazon.co.uk and Amazon.de for a good price. Disclaimer: The Session was sent for free to me by and GoPro asked me to have fun with it. This did not influence the article as I maintain full editorial control of the content published on this site. There are affiliate links in this article. Read the Transparency Disclaimer for more information on affiliate links & blogger transparency.